Was the Covenanting rebellion of 1639-1640 a conspiracy? That was the question which Professor Steve Murdoch (University of St Andrews) set himself during his paper for the Centre for Scottish and Celtic Studies on Tuesday 9 March. The Centre eagerly welcomed Professor Murdoch, one of the most celebrated authorities on early modern Scotland and Europe, and he did not disappoint. In opening his paper, Murdoch confessed that much of what he would discuss would be things already known to many: that the Covenanting movement was born from the prayer book riots of 1637; that the establishment of the Tables in December 1637 created a political, religious and constitutional showdown in Scotland; and that international tensions helped to facilitate the Covenanters’ daring opposition to Charles I. The novelty, Murdoch said, would come from the details in the background of these events, the things we didn’t know. 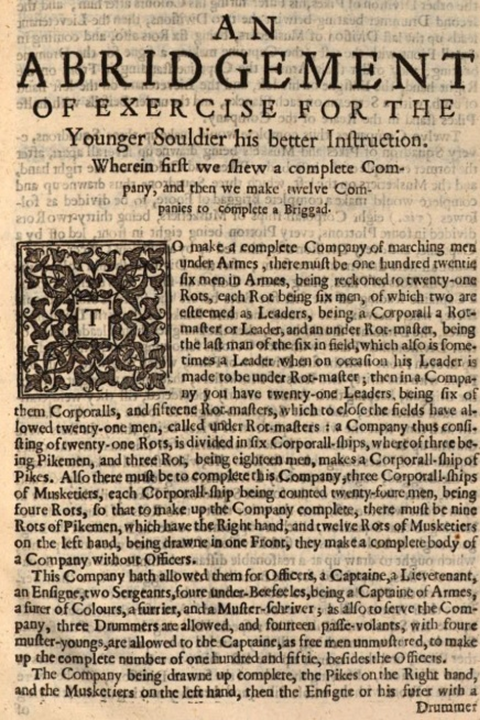 Murdoch contended that the Covenanting rebellion was so successful in 1638 and 1639 because it was orchestrated with (quite literally) military precision and had been years in the planning. Jenny Geddes’ stool-throwing antics was not the origin of the Covenanting rebellion, but the starting signal for its awakening. Now, the British Civil Wars are no strangers to conspiracy theories, a fact openly acknowledged by Murdoch. In particular, he highlighted the argument suggested by David Stevenson that members of the Covenanting leadership were part of the Masonic Order. However, this theory has been quashed by historians such as Allan Macinnes who highlighted that only two members of the Covenanting military leadership were Freemasons, and both had been initiated after the first shots of the Bishops’ Wars (1639-1640) had been fired. While a masonic conspiracy might have been ruled out, there remained the fact that many within the Covenanters’ military hierarchy knew each other from having served together in the armies of the Dutch Republic, Denmark, Sweden and France. Indeed, it is often stated in histories of the Bishops’ Wars that the Covenanting army was simply superior to any force the king could raise due to the vast quantities of continental veterans in its leadership. Murdoch was quick to point out that this was an exaggeration, citing his work alongside Alexia Grosjean to remind the audience that the Royalists could also call upon a number of highly skilled Scottish veterans, including Lt. General Patrick Ruthven and Lt. General James King. Nevertheless, by unpacking the reasons why some veterans sided with the Covenanters and others with the Royalists, Murdoch argued that we can gain invaluable insights into how the Army of the Covenant was formed. Murdoch has traced the origins of the Army of the Covenant to Hamburg in 1634, where there were meetings of prominent Scots in foreign service. Amongst those present at these meetings was Sir Robert Anstruther. Anstruther has been a dedicated servant of the Stuart crown, both under James VI and Charles I. However, in 1634, Anstruther resigned his commission as ambassador to Sweden amid fears that Charles I was seeking an alliance with Hapsburg Spain. After sharing these concerns with the Swedish Chancellor, Axel Oxenstierna, Anstruther met with Field Marshal Alexander Leslie, commander of the Swedish Army of the Weser. Shortly after, Leslie announced that he was returning to Scotland for a year, officially due to family concerns, but contemporaries reported that it had more to do with his distress over the growing religious discontent at home. A number of other Scots veterans returned in 1634, including Sir Robert Monro, who had been given leave to raise more troops for Swedish service. Monro also used this time to write his famous Expedition, which was published in 1637. Murdoch suggested that this too was part of the wider scheme. Purposefully written in English (not Scots) and published in London, the Expedition was loaded with subliminal messages, praising the Kings of Denmark and Sweden and their ‘comerades’ serving in the anti-Hapsburg armies. Morduch argued that this not only curried favour with the Danish and Swedish courts, but also asked important questions for readers in Scotland and England: how was Charles I aiding this noble effort? Rather ominously, the Expedition included a training manual for the ‘better instruction’ of young soldiers. While in Scotland, Leslie communicated with Monro and other Scots veterans who were recruiting men for Dutch and French service. 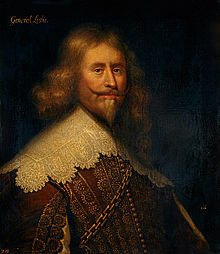 In a letter to the Marquis of Hamilton (another Scots veteran) in 1635, Leslie told Hamilton that ‘should the Swedes make a peace with the Emperor, then I will keep the Scottish Army in the field to secure the Palatinate for Elizabeth [Stuart, Queen of Bohemia and Electress of the Palatinate]’. There can be little doubt that in the eyes of Leslie and his allies, the war being fought against the Imperial Habsburgs was of the utmost importance, with the political misdoings and religious innovations of Charles I and his advisers threatening to undermine that fight. The intrigue continued in 1637, when James Livingston, Lord Almond, Colonel of a regiment in the Dutch Scots Brigade, left his regiment (officially on account of illness) to visit Paris. Shortly after this, Cardinal Richelieu sent his Almoner, Abbot Thomas Chambers, to Scotland to meet with the individuals who would go on to form the Covenanting leadership. Chambers then went on to sit at the Tables during 1638-1639. With France onside, Richelieu commissioned the Earl of Mar and his brother, Alexander Erskine, to raise a regiment for French service, which was authorised by Charles I. The painful irony was that the regiment would not see French service until 1642, having been retained in Scotland by the Covenanting leadership during the Bishops’ Wars and deployed against Charles I, who had authorised its creation. While Almond and others made inroads with the French, Leslie announced his retirement from Swedish service in 1637. As part of his agreed departure, Leslie was awarded weapons, armour and ordinance as a ‘retirement gift’. Alongside this, three full regiments and hundreds of non-commissioned officers were granted leave from Swedish service. In February 1639, ‘Colonel Fleetwood with one English regiment and Colonel Hamilton with two Scottish regiments, and further 30 lasts of gunpowder, 30 ship’s pounds worth of match and 2,000 pairs of pistols’ passed through the Danish Sound, destined for Scotland and Covenanting service. Thus, Murdoch concluded that the force which would become the Army of the Covenant had been organised and planned well in advance of 1638. A propaganda campaign orchestrated by Leslie, Monro and Almond had secured enough men and resources to ensure that a military force could be deployed at home with little warning. This compelling interpretation asks a number of important questions of our current understanding of the Covenanting movement. Was it the army, not the nobility, which ensured the Covenanters early success? To what extent did Royalist veterans, such as Hamilton, King and Ruthven, know about this plot, if it existed? Was a militarised rebellion inevitable? Plenty of food for thought which will undoubtedly produce more papers in the future.